Troubleshooting SSL certificates and connections? Here are five handy openssl commands that every network engineer should be able to use. Bookmark this – you never know when it will come in handy! I’ve reformatted the lines to make things a little clearer, and be grateful that I removed the blocks of Base64-encoded text that represent the certificates or it would be even more painful to read. There are a couple of things to note, however. Fine then; remove the -showcerts argument, and your wish will be fulfilled. There’s an error here. Depth 2 means which certificate in the chain; in this case the third one as they are numbered 0, 1 and 2, and this error means that openssl was unable to find a certificate for the issuer of certificate 2 whose Common Name(CN) is “VeriSign Class 3 Public Primary Certification Authority – G5”. That’s because the issuer is a root certificate and openssl does not know where the root certificates are. This can be fixed by adding the -CAfile option pointing to a file containing all the trusted root certificates, but where to get those? That’s coming soon in another post. For now what we need to know is that we have three certificates in a chain and at least up to certificate 2, things are verifying correctly. This of course continues up the chain. If you see this when you run this command, it means exactly what it says … that chain of trust is broken right from the start. Typically it might happen if you fail to include intermediate certificates, or if you supply the wrong intermediate certificate. You’ll still have to break out after that using Ctrl-C, but meanwhile, what fun! Don’t forget that for most sites (particularly HTTP but usually HTTPS as well) you have to use the Host: directive so that the web server knows which site you were trying to contact. When you think about it, most hosting companies have tens or hundreds of web sites served by a single server and IP. Supplying a Host: is essential. And, since we have the other certificates in the chain, I could check them too. Does This Work With Binary Certificate Files? Easy peasy. The added benefit of understanding how to do this is that you now don’t have to use somebody else’s website to convert you internal certificates between formats. You’re ready to deploy a certificate for a website, and you have been given a ZIP file containing the public server cert and a file purporting to contain the necessary intermediate certificate(s). How can you check that you have the correct certificates without actually installing them? Why, openssl, of course! That’s it! We have confirmed that we have a full chain of trust from a trusted root cert all the way down to the www.microsoft.com server certificate. Even for a Mac user, this is a good thing. What About Multiple Intermediate Certificates? It’s that easy. In any GUI environment you can just paste them one after another in Notepad and save them out. Remember to include the BEGIN and END lines. Now in your command line just change the argument to -untrusted intermediatebundle.pem and you’re good. There are other error codes you may see, but generally speaking if you get dumped back to a prompt with an error, chances are this means that SSLv3 is not allowed. I thought it was interesting, by the way, that microsoft.com allowed an SSLv3 connection, but www.microsoft.com did not. The former uses a different certificate chain and redirects to the latter, so perhaps it all comes out in the wash. It’s actually a missed opportunity in some ways for Microsoft not to detect SSLv3 in some way, then pop up a web page saying “Hello IE6 user – why not upgrade now?”, but they don’t do that. I have had to use all of these commands recently in order to troubleshoot a few different issues that were popping up with some web sites. I confess to being terrible at remembering commands in detail, so I’m going to bookmark my own page for reference even if you don’t! Openssl does plenty more that can be useful, but this is a great start when it comes to certificates and ciphers. 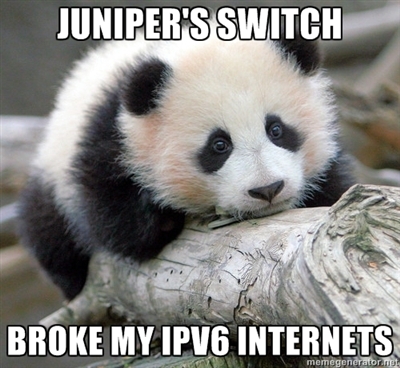 Why Doesn’t IPv6 Work on My Juniper EX Switch? Thank you, that was interesting. Now that free certificates will be available (here: https://letsencrypt.org/) I will try to add https to my sites as well. Thank you so much for taking the time to write this article. It was invaluable to me in resolving some coding issues with OpenSSL. 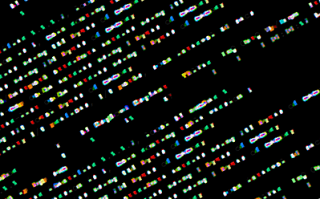 Using the command line tools was a much easier way of determining and resolving the issues. By the way, I hit another basic problem that I thought was worth mentioning – when passing PEM files to OpenSSL, it is very fussy about the character encoding. Cut & pasting your Microsoft example did not work at first, as my text editor saved (by default) with the wrong character encoding – resaving as ASCII instead of UTF-8 resolved the problem. Just FYI.